Every language has a style of its own. 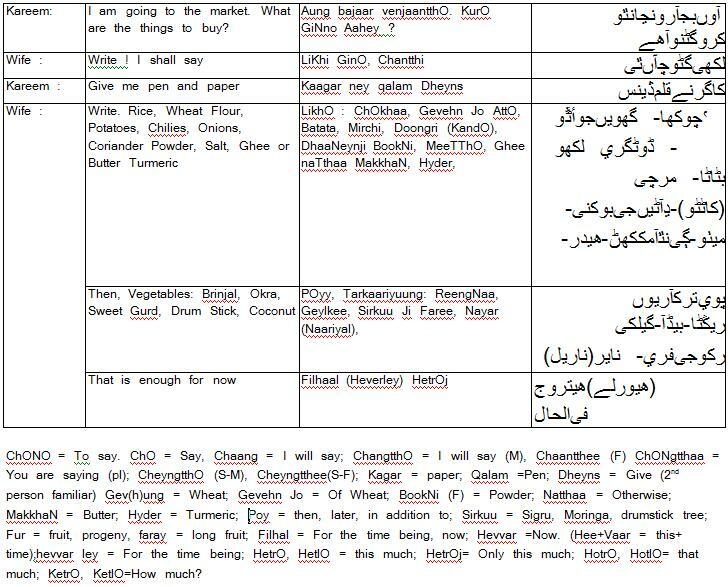 Sindhi language that originated from the more than ten millenniums old Indus Cultural Hub of Mohen Jo Daro is the parent of Cutchi language. Apart from the slight variations in the intonations and prepositions there is no appreciable difference between these two languages in their style, structure or grammar. Memoni, the language of the Memons who settled in and around Halaar in Gujarat is also a Sindhi variant like and closest to Cutchi. Over the centuries Sindhi and Memon people have migrated to various parts of the world carrying their respective version of Cutchi or Sindhi with them, The art, culture and language of their adopted lands have had a strong influence on the migrant population and their culture and language. Marriages with the local people who used different languages has also affected the language. Today Cutchi in its pure or original form cannot be heard even in Cutch because of the corruption by Gujarati, Urdu and Hindi besides English. Despite all these distortions there had been no serious impediment in mutual communication among them, at least in the spoken dialects. The purity of the language is preserved to some extent in Kerala in South India and in African countries such as Tanzania and South Africa where local assimilation is minimal. 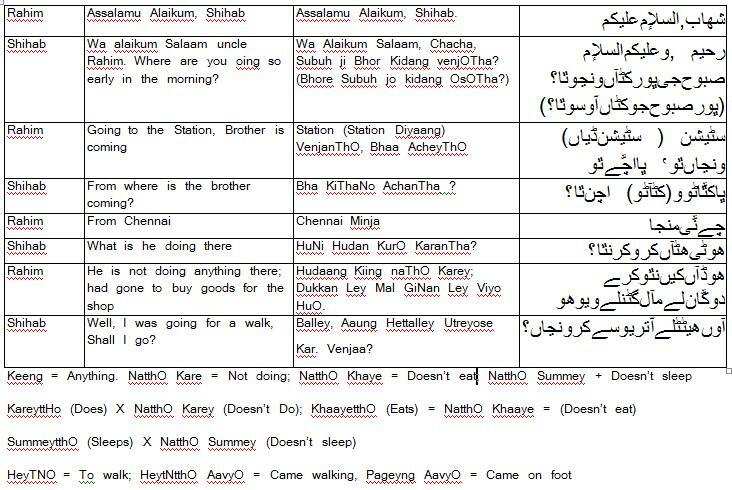 This work therefore adopts the version spoken in these regions, clarified marginally by the correct Sindhi equivalents gathered from rural Cutch and Sindh. The following are some of the essential features of the spoken Cutchi language. 1. The soft sound 'na' (as in 'nation') is rarely used. The harsher sound of NA (as in 'money' is used instead. 3. Most words have a nasal ending. The English (Roman) alphabets do not have any symbol to correctly represent these phonetic variations. Th best method, therefore, is to listen to the native speakers either directly or on the radio or TV, Cutchi or Sindhi. 4. In conversations, the pronouns are mostly omitted. As the gender of the verb is determined mainly according to the gender of the subject (noun or pronoun) care should be exercised to rightly assess the gender of the subject.